Fog engulfs Lahore and Multan! Storm brewing in the Arabian sea? November is coming to an end with little to no precipitation in the country, however foggy conditions like last year has also developed due to lack of rainfall. Temperatures have considerably dropped in almost all parts of the country and expected to drop further. Dry continental air is also prevailing over the country. But another interesting thing might be happen again in the Arabian sea! *Western disturbance 09 is affecting the extreme northern areas of Pakistan. *Foggy conditions to prevail over the plains of Khyber and Punjab from night till morning with slight decrease in the afternoon. *Well-marked low pressure is near Maldives, it will further gain momentum in the Arabian sea in few days. Western disturbance 08 and 09 – Big failure! Both of these mid latitude waves have not brought any major precipitation to many upper parts of Pakistan regardless of bringing some light rainfall with cloudy periods in the Gilgit region. WD 09 started affecting Pakistan from November 21, it did bring a large cloud cover to central and upper parts of Pakistan till November 22 mid-day but as of now it is mostly forming clouds over extreme northern parts of Pakistan. WD 09 is not likely to cause any affect after 48 hours and it will move eastwards where it will become negligible. Fog makes a come back! 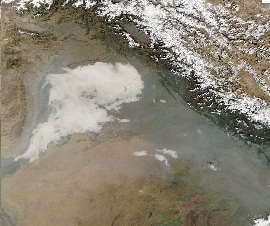 During this time of the year, day time warm temperatures and dry cold air has once again caused fog to form over mostly over plains of Khyber and Punjab. However fog will gradually increase if winter waves does not cause precipitation in upper Pakistan and continental air remains stationary. 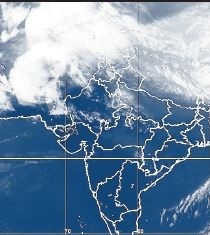 Back to Back storms in the Arabian sea? On November 23, a low pressure over south-west Bay of Bengal was detected at 1008 mbar and the next day it intensified and showed improved convection. On November 25, it intensified into a well-marked low pressure (strong rainfall bearing system) at 1006 mbar and due to favourable sea temperatures, it will further gain intensity. Tropical activity still continues! 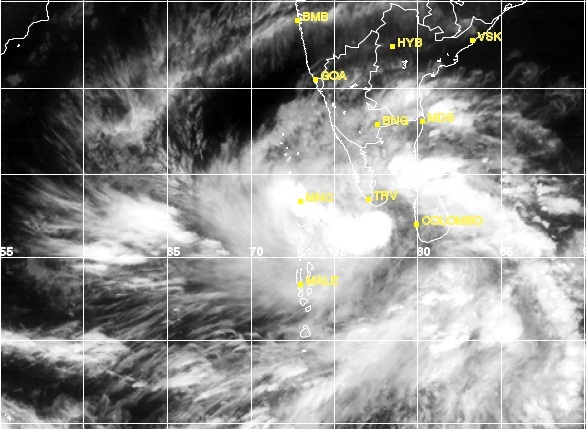 back to back cyclones never formed in arabian sea before…What baout this season post monsoon cyclone are rare in arabian sea…whats happening with the weather…Is Pakistan weather changing? This is rare indeed but Arabian sea’s climate is not linked with Pakistan’s climate..
Why is that all cyclone formed this NEM taking same route. Arabian sea has got 3 cyclones to 1 cyclone in Bay of Bengal after October 20th.Has this happened before. Nobody is showing rains for karachi. Karachi Metro Bro ! what about weather in larkana in few days ? any light rain or cloudy weather expected here in upper sindh LARKANA district? Foggy conditions likely to continue… .